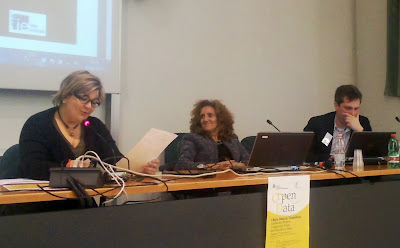 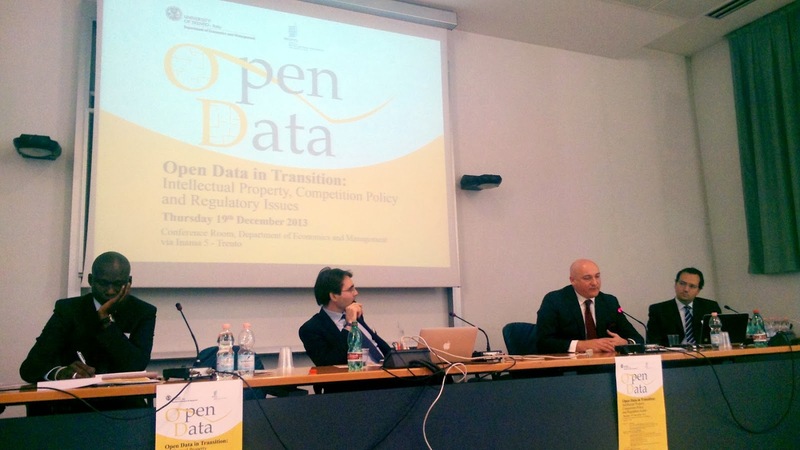 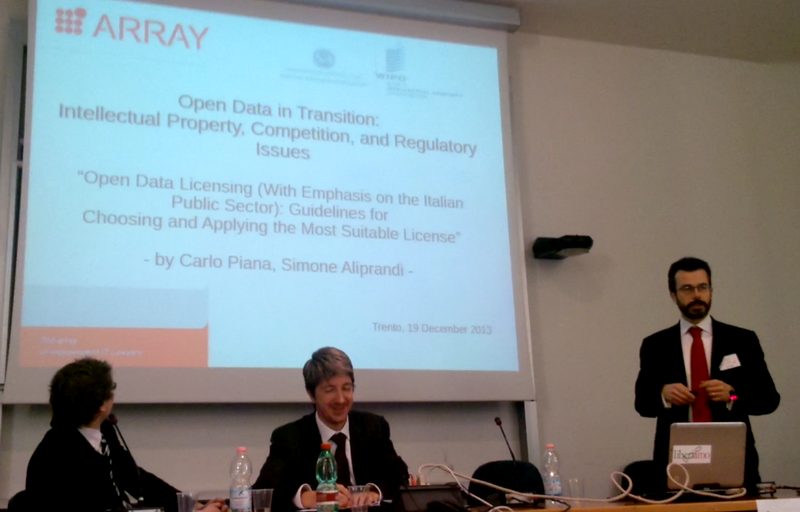 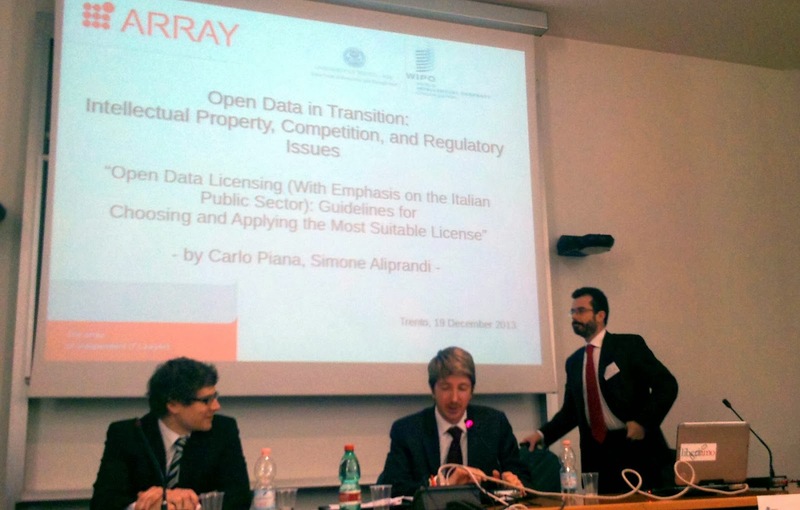 Last December I was in Trento as a speaker (with Carlo Piana) in a very interesting conference about open data. Title is Open Data in Transition: Intellectual Property, Competition Policy, and Regulatory Issues and it has been organized by Giovanni Napolitano and Simonetta Vezzoso for WIPO and Università degli Studi di Trento. Public bodies produce a significant amount of information and content, comprising geographical, land, economic and meteorological data created and/or collected by authorities at the different levels of government, and also data stemming from the cultural domain, such as digitized library collections. 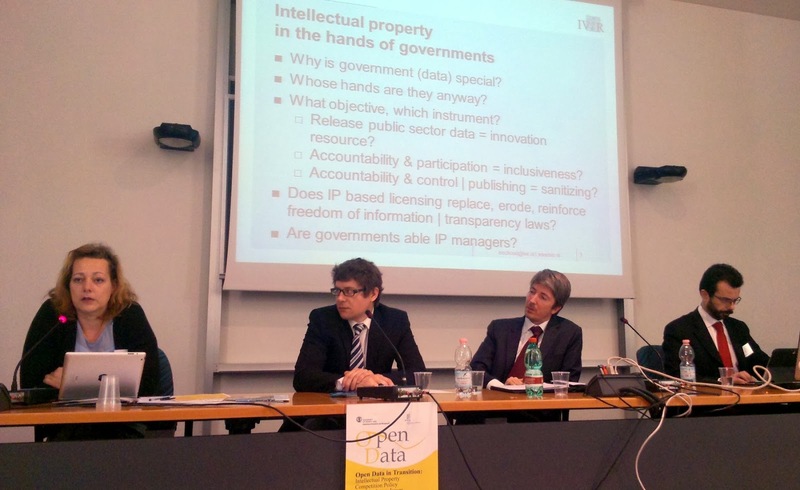 In recent years, discussions have focused on the feasibility of re-use regimes of public service information designed to maximise the benefits deriving from improved access and increased use. 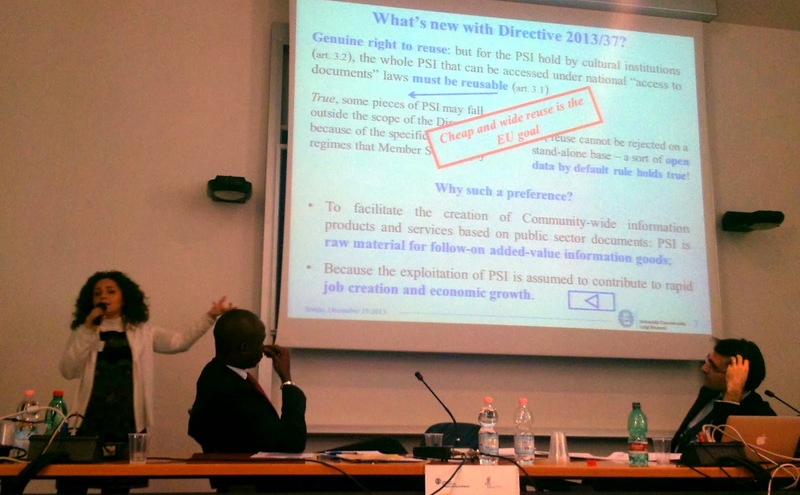 The Conference, which is jointly organised by the World Intellectual Property Organization and the Department of Economics and Management of the University of Trento, aims at discussing intellectual property, competition, and broader regulatory issues relevant to the re-use of public sector information.